After 25 inches of fresh snowfall, Solitude was absolutely amazing today. So many fresh tracks through some great terrain. 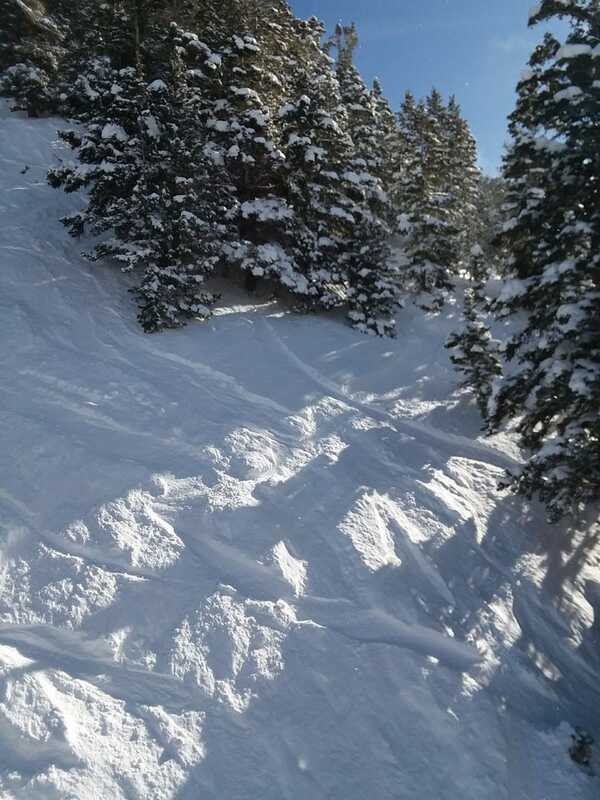 And even when I wasn’t getting first tracks, the snow was so abundant and soft that it was still a much fun. I ended up in waist deep untracked in a few spots on the mountain. Honeycomb canyon was perfect once that opened around 11am. That had not been open during the storm and was on avy control most of the morning. I was just about to take lunch early since I had heard it should be another hour or so before that area opened. But then as I get to the top of a lift with a gate into that area, ski patrol drops the rope and opens it up, 100% untracked for the whole backside. It was a mad dash to the slope and everyone going down was forging a path through freshies!! I then proceeded to run that area for a dozen runs, getting fresh tracks on more than 50% of every run through the woods. Around 1pm I was just too hungry and needed a break. After a lovely 30min lunch break in the parking lot in the sun, I got back up and rode hard until the upper lift closed at 330pm. Eventually made my way back to the base area, dead tired. What an amazing day! I had no idea where I was going, being that it was my first day ever at Solitude but I basically couldn’t go wrong no matter what I rode. It was just pure bliss floating on powder and getting blasted in the face with snow when I flew through especially deep and light stuff. Day 1 of this ski trip is going to be tough to beat.